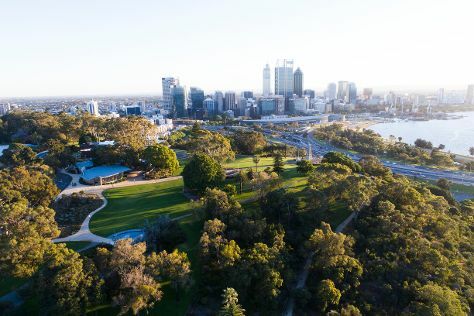 Start off your visit on the 25th (Tue): contemplate the waterfront views at Swan River, then contemplate the long history of The Perth Mint, and then walk around Kings Park & Botanic Garden. Keep things going the next day: admire the masterpieces at Art Gallery of Western Australia, sample the fine beverages at Whipper Snapper Distillery, appreciate the history behind Kings Park War Memorial, then contemplate the long history of Fremantle Prison, then don't miss a visit to Elizabeth Quay, and finally get your game on at Elizabeth Quay Carousel. To see where to stay, other places to visit, and more tourist information, read Perth online trip planner . New York City, USA to Perth is an approximately 28-hour combination of bus and flight. You can also fly; or do a combination of train and flight. Traveling from New York City to Perth, you'll lose 13 hours due to the time zone difference. Plan for slightly colder temperatures traveling from New York City in June, with highs in Perth at 68°F and lows at 46°F. Finish your sightseeing early on the 26th (Wed) so you can travel to Brisbane. When in Brisbane, make a side trip to see Sea World Theme Park in Main Beach, approximately 1h 30 min away. There's still lots to do: stroll around South Bank Parklands, take in nature's colorful creations at City Botanic Gardens, find something for the whole family at Wheel of Brisbane, and take some stellar pictures from Mount Coot-tha Lookout. 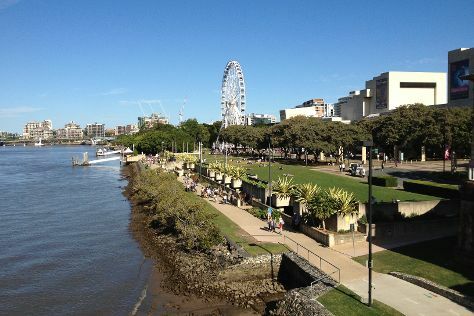 Plan my day in Brisbane using traveler tips and tourist information provided by Inspirock. Traveling by flight from Perth to Brisbane takes 8 hours. Alternatively, you can do a combination of flight and bus; or drive. The time zone difference when traveling from Perth to Brisbane is 2 hours. Traveling from Perth in June, expect somewhat warmer with lows of 53°F in Brisbane. Finish your sightseeing early on the 30th (Sun) to allow enough time to travel back home.